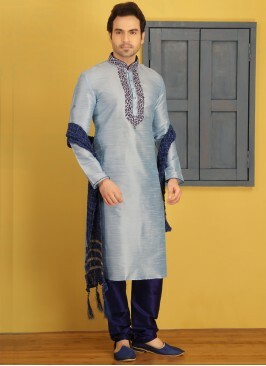 AdmiredBlue Art Banarasi Silk Kurta Pajama is making it rich and sensible for party wear choices. 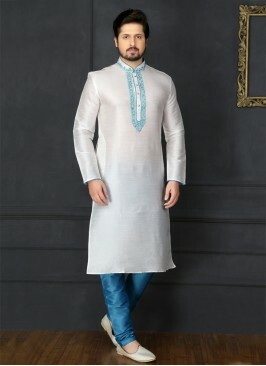 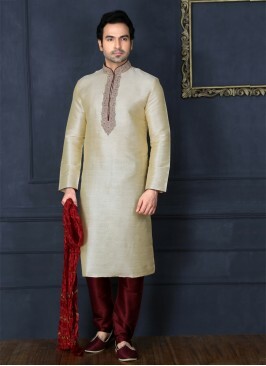 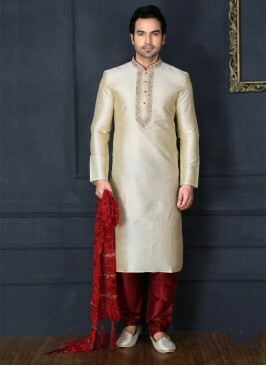 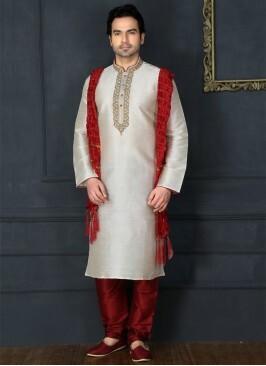 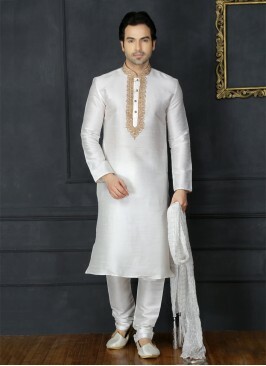 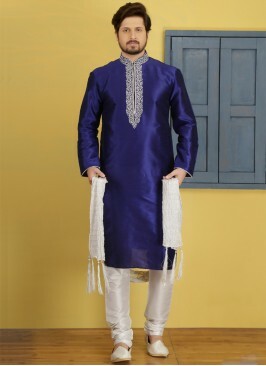 Kurta neckline, collar and cuffs is enhanced with resham embroidery work are very well complimenting on it. 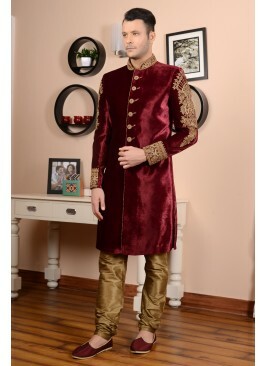 Best choice for those looking for a magnificent yet sober churidar suit .extra charger for dupatta. 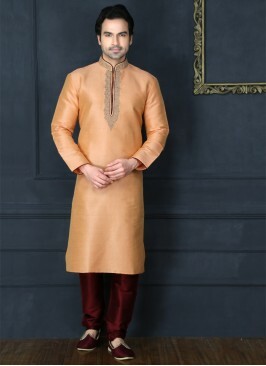 Cocoa Brown Colour Kurta ..